At Astoria, Prescott’s greatest nostalgic architecture has been brought back to life. Owners can choose between Victorian, Craftsman, and American Farmhouse architectural styles. The neighborhood will possess over 42 turn-of-the-century color schemes, timeless craftsmanship and authentic architectural details. Each home will feature a front Greeting Porch to promote “front of home” living and a socially active community. The nostalgic tree-lined neighborhood will be magically reminiscent of the early 1900’s. 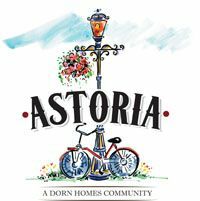 As guests enter Astoria through it’s gated entry, a quaint “Town Square Park” will greet each visitor. This park includes a Victorian Bandstand Gazebo inspired by the Prescott Town Square gazebo. Grass lawns, park benches, white picket fences, shade trees, and colorful flower gardens will offer the residents their own peaceful escape.